Yet another fine offering from Altarworthy, this time coming from the gothic revival. 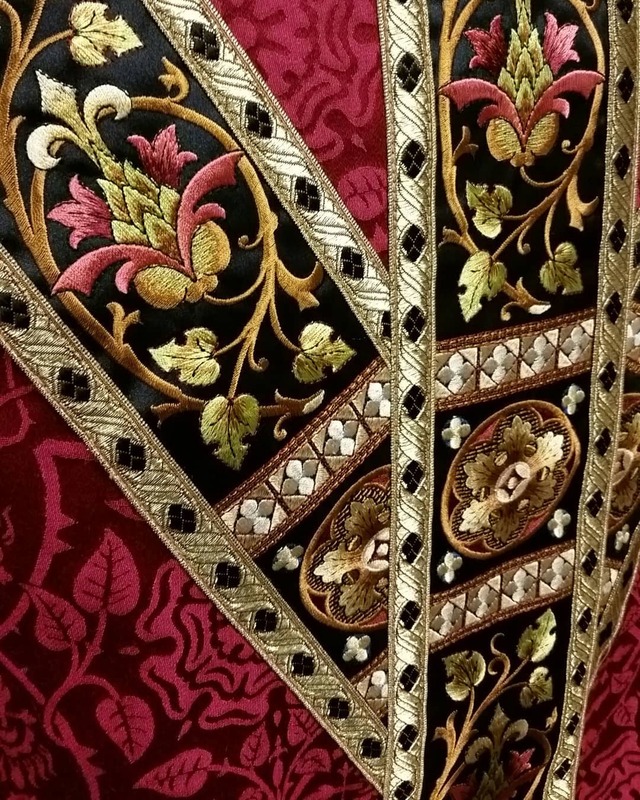 They have done this pattern in other colours, including rose, and it is a very dignified pattern. 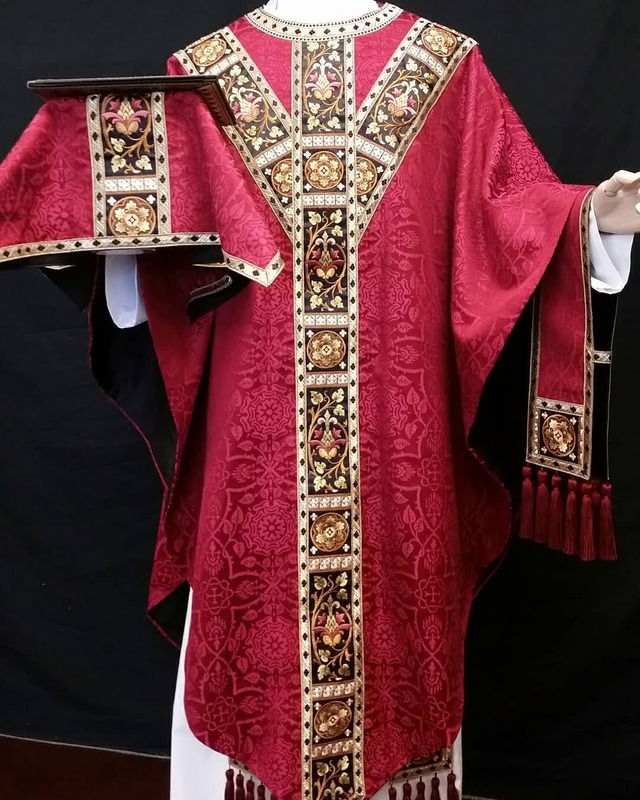 A very fine example of a good "day to day" type of vestment that is both straightforward and yet also noble and beautiful.